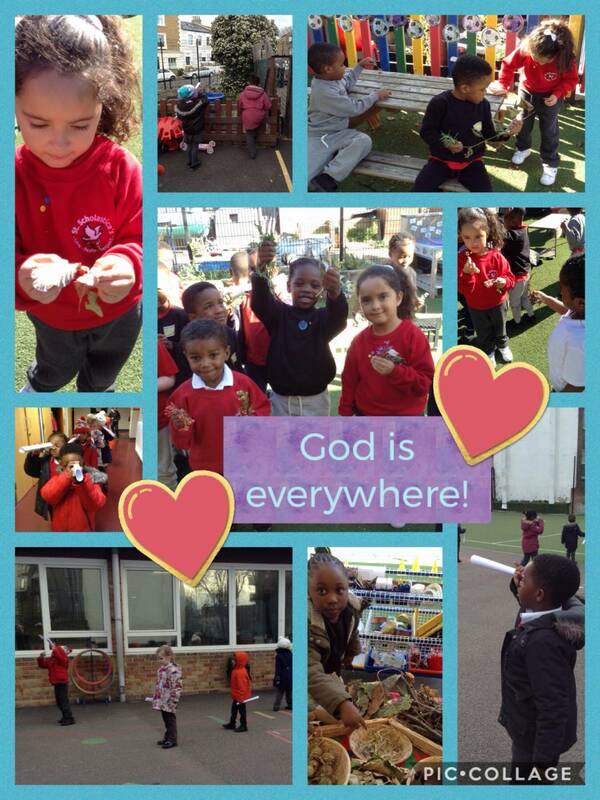 St Scholastica's Catholic Primary School | Reception are learning that God is everywhere! Reception are learning that God is everywhere! 20 Jan Reception are learning that God is everywhere! God is a Spirit – like the air or wind. We can’t see God, touch God, telephone God, hold God’s hand or give God a hug. We are learning that God is everywhere, all around us and within us. We are learning to be God detectives to notice God in our world. We are making telescopes to go and hunting for God. We can see God in creation, in people, in actions and in words.